with a Bachelors of Arts degree. I majored in Mass Communications and minored in Multimedia. In my Senior year of College I interned at Wisn 12 News as a Graphic Producer. ‘live news broadcast’ environment requires. is now entitled Innoware Inc. Please view my resume for more details. 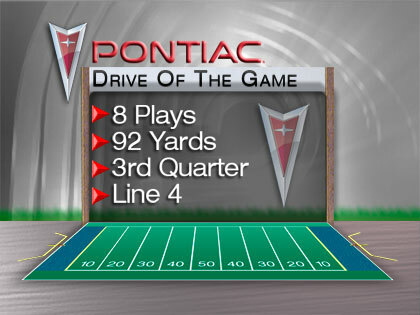 - Operated live broadcast graphics for a Regional Green Bay Packers NFL Pre-show game. View more of my graphic print and or motion graphics work.